Sudoku Selection features an assortment of sudoku puzzle offering a great range of difficulty, perfect for any ability. Sudokus are simple to learn, tricky to master and difficult to resist! 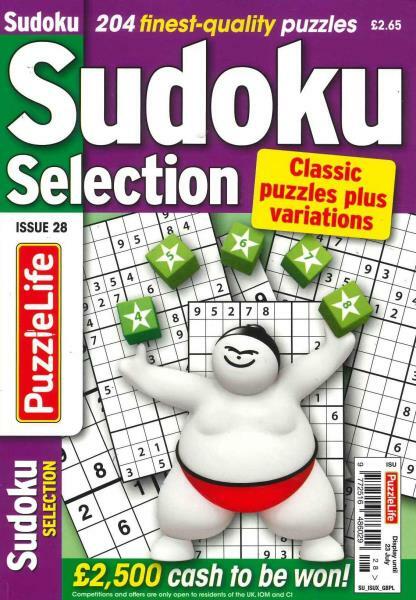 Each issue is loaded with sudoku puzzles and filled with cash prizes. Researchers have found that when you work at solving puzzles, like the ones in Sudoku Selection, you could be helping your brain and preventing age-related mental decline; scientists have in fact selected sudoku as one of the best ways to expand your brain.